The telephone number for disabled visitors is 01792 616 600. 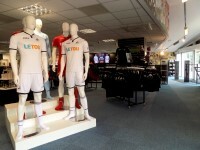 The email address for disabled visitors is accessibility@swanseacity.com. To view the web page for disabled visitors click here (opens in new tab). The telephone number for ticket sales is 01792 616 600. The email address for ticket sales is ticketoffice@liberty-stadium.com. The telephone number for hospitality enquiries is 01792 616 628. 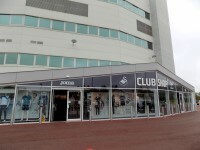 The email address for hospitality enquiries is hospitality@swanseacity.com. 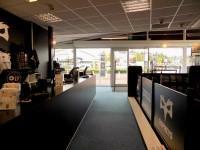 The telephone number for parking enquiries is 01792 616 402. 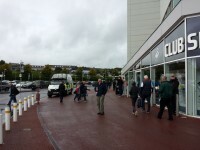 The email address for parking enquiries is c.gallagher@liberty-stadium.com. For electronic versions of the matchday programmes please click here (new tab). Club staff receive disability awareness/equality training. Stewards receive disability awareness/equality training. Hospitality staff receive disability awareness/equality training. Food and drink concession staff do receive disability awareness/equality training. Car parking attendants do receive disability awareness/equality training. 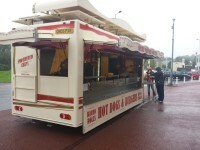 There is an assistance dog toilet or toileting area at the stadium/near by. For home and away visitor guides please click here. 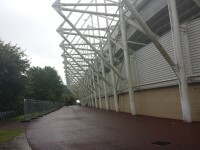 Liberty Stadium is located on the outskirts of Swansea. There are various routes to the stadium. If you are coming from the East/West then follow the M4 and exit at Junction 45. Follow the signs along the A4067 until you reach the stadium. 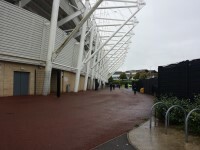 Liberty Stadium has two on-site car parks available; West Car Park and North Car Park. For more information on First Group buses please click here (opens new tab). The nearest Railway Station is Swansea. For more information on station facilities from the National Rail website please click here (opens new tab). You are on Car Parking and Drop-Off. Skip to the next section. For more information about the car parking and drop-off point(s) please click here (opens in new tab). The outer concourse has a concrete surface and is step-free throughout. All stands are accessible via the outer concourse. 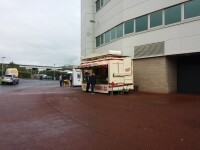 On matchdays there are independent food stalls and mobile counters selling match day programmes located around the concourse. 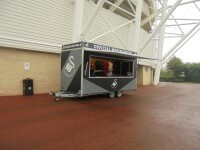 The Jacks Fan Zone is located on the concourse at the corner of the LG Stand - South Stand. All entrances into the stadium have step-free access. 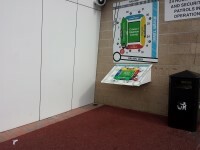 There are Braille and tactile maps of the stadium located on all corners of the concourse. Clear directional signage is provided on the concourse. 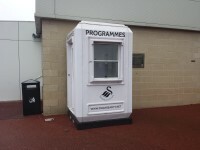 For more information on the Swansea University - West Stand please click here - (new tab). For more information on the LG - South Stand please click here - (new tab). For more information on the Eteach Stand - East Stand please click here - (new tab). For more information on the Croeso North Stand - East Corner please click here - (new tab). For more information on the Croeso North Stand - West Corner please click here - (new tab). For more information on the Visiting Supporters (Croeso North Stand) please click here - (new tab). 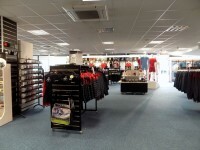 For more information on the Club Shop please click here - (new tab). For more information on the Riverside Lounge - Eteach Stand please click here - (new tab). For more information on the Main Reception and Hospitality please click here - (new tab). 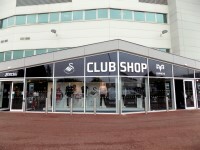 For more information on the Swansea Hospitality and Supporter Services please click here - (new tab). For more information on the Jacks Zone please click here - (new tab). 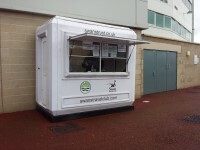 This information is for the entrance located on the south corner of the Swansea University - West Stand. The push pad or push button is 80cm from floor level. The width of the door opening is 190cm. There are security barriers at this entrance. 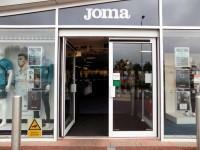 There is a member of staff available for assistance at this entrance. 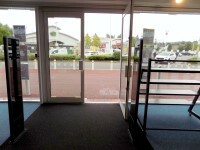 This entrance can also be used as an exit. At the time of the survey one of the entrance doors was locked. You are on Shop. Skip to the next section. There is step-free access throughout the aisles. The majority of aisles have a clear width of 100cm+ and are clear of obstructions. The flooring throughout the aisles is carpet. There is good colour contrast between the walls and floor in the majority of areas. There is/are 2 till(s)/counter(s) available. There is a/are payment counter(s) and shirt printing counter(s) available. 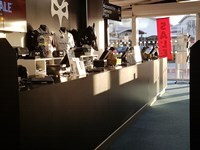 All tills are located on the right as you enter the shop. There are six payment tills and one shirt printing counter. The accessible service point is clearly signed. 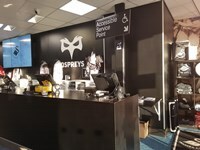 There is step-free access to the till(s)/counter(s). There is a clear accessible route to the till(s)/counter(s). 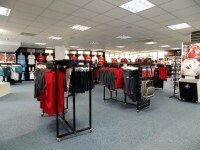 The nearest till(s)/counter(s) is/are approximately 19m from the main entrance. There are not windows, TVs, glazed screens or mirrors behind the till(s)/counter(s) which could adversely affect the ability of someone to lip read. The till(s)/counter(s) is/are not placed in front of a background which is patterned. The height of the till(s)/counter(s) is/are medium height (77cm - 109cm). There is not a low section at the till(s)/counter(s) with a height of 76cm or below. There is a hearing assistance system at the till(s)/counter(s). The hearing assistance system(s) is/are portable. The hearing assistance system(s) is/are signed. The portable hearing loop is on the end accessible till and is available on request. You are on Exit. Skip to the next section. This information is for the exit located immediately beyond the payment tills. The exit area/door is not clearly signed internally. There is not a canopy or recess which provides weather protection at this exit. 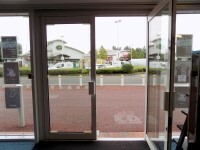 The exit door(s) does not/do not contrast visually with its immediate surroundings. The width of the door opening is 180cm. There is a small lip on the threshold of the exit, with a height of 2cm or below. There are security barriers at this exit. The minimum width between the security barriers is 178cm. There is a member of staff available for assistance at this exit.